Need Information About Planting Broccoli? When planting broccoli in your garden, it's best to transplant seedlings that are a few inches tall. If you try to grow broccoli by sowing the seeds directly into your garden, the plants will have far less chance of growing large enough to produce decent sized heads. You can either grow the seedlings yourself indoors or you can purchase seedlings at your local garden center. If you intend to grow a large broccoli crop, it will be far cheaper to buy the seeds and grow the seedlings yourself. You can buy a seed packet with 100 seeds for about $2. 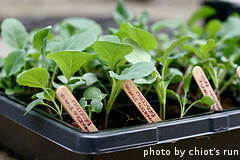 Small seedlings can be purchased at most garden centers for around $1 each, depending on where you live. 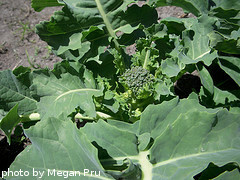 Broccoli plants do well when temperatures are between 65 and 80 degrees F. Cooler weather will force the plant to form heads too soon, making for mealy tasting broccoli. If the temperatures are too warm, the broccoli will flower too soon, leading to poorly formed heads. When planting broccoli in the spring, the key is to transplant the seedlings at the low end of the temperature range (65 degrees F) and harvest them before temperatures exceed the high end of the range (80 degrees F). If you want a fall crop, it's just the opposite. You want to transplant the seedlings in the high range of ideal temperatures (80 degrees F) and harvest them before temperatures go below the low range (65 degrees F). To grow the seedlings yourself, plant the seeds in flats or small containers about a month before the last expected spring frost in your area. If you want a fall broccoli crop, plant the seeds about 3 months before the first expected hard frost in the fall. If you don't have any flats, small disposable cups with holes poked in the bottom work well as starter containers. When planting broccoli seeds, simply fill the flats or containers with a good quality topsoil or potting soil, leaving about 1/4 inch of space at the top. Put two seeds in each container. Add more soil on top of the seeds and water them in well. Place the containers inside in a spot that gets as much sun as possible. Water the seeds every other day to keep the soil moist but not water- logged. When the seedlings emerge and are about an inch tall, you can thin them to one seedling per section or container. Carefully remove one seedling from each container by pinching it off at the base of the stem.. It's usually best to keep the thickest seedling, not necessarily the tallest one. In about a month, the seedlings should be a couple of inches tall and ready to be transplanted into your garden or larger, permanent container. Before planting broccoli seedlings, make sure the soil in your garden is tilled to a depth of 6-8 inches. You should also be sure to choose a location that gets lots of sun - at least 6-8 hours a day. 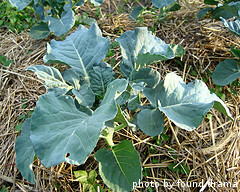 Even though it is a cooler season crop, broccoli still needs lots of sun to produce large, tightly formed heads. Broccoli thrives in loose, nutrient-rich soil that drains well. If the soil in your garden is more dense, you can mix in a layer of compost before tilling. This will add nutrients to the soil and also help with any drainage problems. Your broccoli plants should be spaced 2 feet apart. If planting multiple rows, space the rows 2 feet apart as well. This will give you enough room to walk through your broccoli patch without damaging the plants. It will also allow each plant enough room to grow successfully without competing with other plants for nutrients and water. When planting broccoli seedlings, use a trowel or your hands and dig a small hole slightly bigger than the size of the container that your broccoli seedling is growing in. Carefully remove the broccoli seedling from the container, trying not to damage the root system. Keep as much soil attached to the roots as possible. Place the seedling in the hole you dug so that the top of the root ball is slightly lower than the surface of the soil. Back fill any remaining empty spaces and the top of the root ball with loose soil and tamp it down lightly. After transplanting the broccoli seedlings, water them in well. If you want to grow broccoli in containers, choose a container that's at least 18 inches across and 10 inches deep. Make sure that your containers have adequate holes in the bottom for drainage. Fill the containers will good quality potting soil or topsoil. Using the same methods as described above, transplant your broccoli seedling into the container and water it in well. Make sure to place the container in a spot that gets at least 6-8 hours of daily direct sunlight. When the seedlings reach 6 inches tall, you can apply a layer of mulch to keep the soil moist and help prevent weeds. Grass clippings, chopped up leaves and straw all work well as mulch. This organic matter can be tilled under at the end of the growing season to add nutrients to your soil. Now that you've learned about planting broccoli, it's time to water and fertilize your crop.